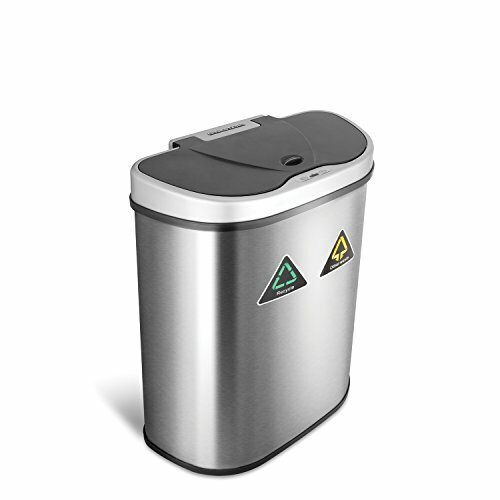 An automatic touchless infrared motion sensor trash can is a necessity in your household if you want to maintain a germ-free environment. A standard motion sensor trash can is simple to use because you only require the motion of your hand and the lid will automatically open. 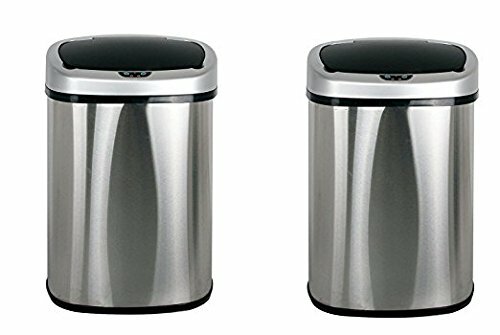 There different types of motion sensor trash cans which vary from the capacity, design or its level of technology. 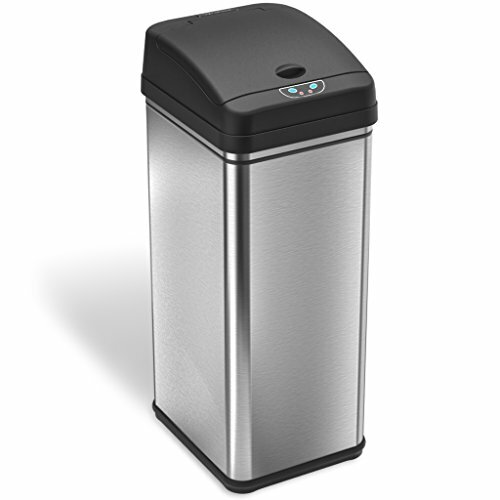 Below is a list of the best automatic touchless motion sensor trash cans. The NINESTARS brand is not a stranger when it comes to trash cans. 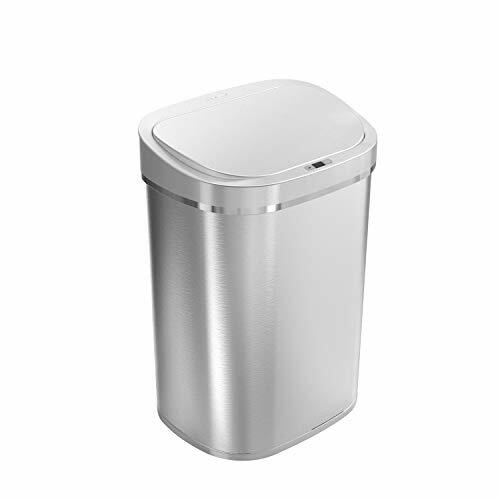 This model is equipped with high-tech infrared motion sensor technology that enables you to control your trash can without necessarily touching it. You simply pass your hand at a distance of 10 inches from the top or an angle of 130 degrees and the lid will automatically open. The lid will remain open if your hand remains in range and will close after three seconds after you have removed your hand. Additionally, it is equipped with a long-lasting battery that can take you up to six months on normal power usage. Being Amazon’s number one best seller in commercial trash cans, this is definitely an option to consider. This amazing model comes in a 2-pack, one 13 gallon trash can for the kitchen and a 2.5 gallon for the bathroom. It is completely touchless, with just the motion of your hand, you can open the lid without even touching it. This ensures hygienic and germ-free workspace in your kitchen. Furthermore, it has odor filters which absorbs any unpleasant smell from the trash while it simultaneously releases lemon-scented fragrance to the environment. Another amazing design by NINESTARS. With one of the most advanced sensor technology, you don’t require to touch the lid. You simply pass your hand within range and the lid will automatically open. It is also equipped with an extra-large opening, that enables you to load larger loads in the trash can. This amazing unit is water resistant which prevents the entry of moister that may damage the trash can. Additionally, it is integrated with a battery that can last up to six months of normal usage. 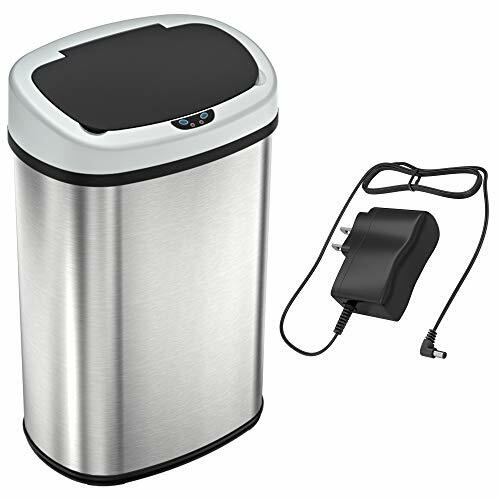 The SensorCan touchless motion sensor trash can comes with an AC power adapter for a convenient battery-free operation. It fully operates on Infrared Sensor Motion Technology that gives you the freedom to use your trash can with just the motion of your hands. With its capacity of 13 gallons, it can hold trash worth for a whole week. This makes it ideal for kitchen use. It is also compact and saves on space. In addition, it is designed with stainless steel that is finger proof and smudge resistant, making it clean at all times. the kitchen, office, restaurants, and cafeterias. It also includes a garbage bag ring that keeps the bag hidden from public view making your area of work neat. It is also water resistant, so you don’t have to worry about accidental spills that may damage the unit. This model is made to seal in any unpleasant odor from the trash leaving your room smelling as you left it. The BestOffice is designed with a sensitive sensor that opens the lid 0.3 seconds without delay and closes it five seconds later after the load is removed from within the range. Its lid is very smooth and quiet while opening so you don’t have to worry about any unnecessary noise. Furthermore, it is made with stainless steel material that is water resistant and anti-rust. It has a capacity of 13 gallons which makes it ideal for the kitchen, bedroom, office, bathroom and even study. It also has a sleek design that remains neat every time. 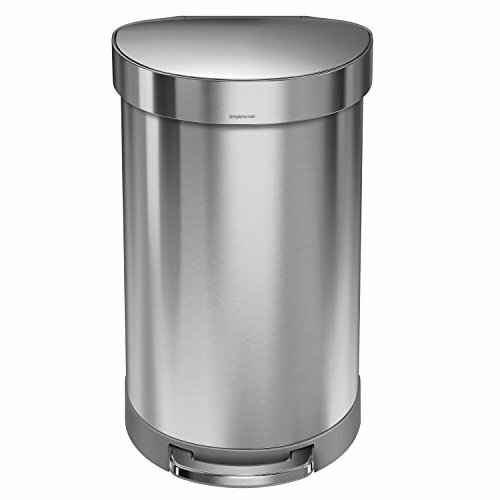 As its name suggests, the simplehuman motion sensor trash can was made to make your life simpler. With its advanced motion sensor technology, it has made using your trash can easy and germ-free. You simply need to wave your hand within range and the lid will automatically open. This amazing design is also inbuilt with a revolutionary liner pocket where you can store the can liners. 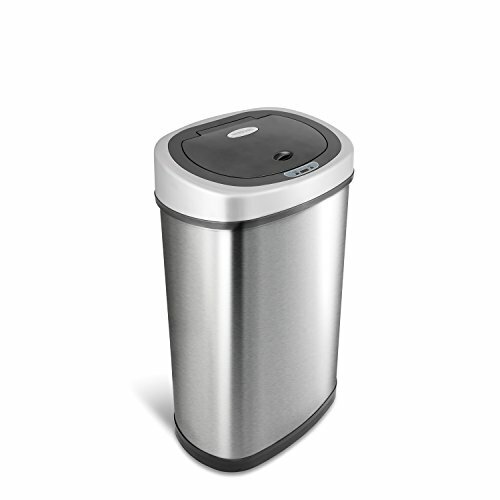 The simplehuman infrared motion sensor trash can is ideal for kitchen use, office and also the bathroom.